Healthcare is one of the biggest and most competitive industries today. There are endless amounts of jobs available, and limited amounts of qualified professionals. Because of this, many recruiters can no longer attract, recruit, and retain skilled talent. 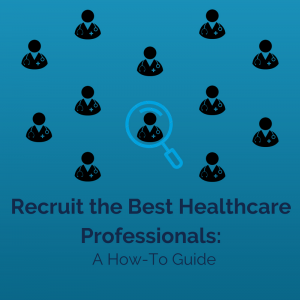 Have no fear, we’ve put together some industry tips and tricks to help you find the best healthcare professionals that fit your facility’s needs. Just because a candidate isn’t a perfect match for your facility right now, it doesn’t mean he/she won’t be perfect fit for a future role. Make sure to keep all records of previous stand out candidates. This will allow your candidate pool to constantly grow, and make the sourcing process a little bit easier. The candidate will be thankful that you keep them in mind for future positions. Are you still using the same old processes to recruit candidates? Technology is changing, and the way your candidates look and apply for jobs is changing with it. Immerse yourself in LinkedIn, Indeed, and ZipRecruiter. These platforms simplify the sourcing and recruiting process. You’re likely to find a larger amount of candidates on these platforms, rather than through old school recruiting processes. Encourage your internal staff to continuously grow their knowledge and skills! Offer them workshops and discounted certification opportunities. As you know, the higher level opportunities can be more difficult to recruit. Let your internal staff enhance their career by taking that high level position. Now you have an easier task of recruiting for the lower level position. It’s a win-win for everyone! 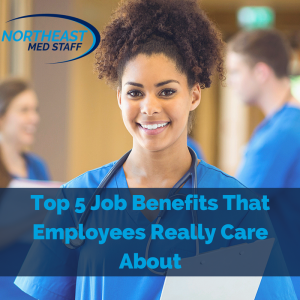 It’s likely that your current employees know a lot of other people in the healthcare profession! Keep your staff up to date on all of your job openings and encourage them to refer people from their network. Your current employees can act as advocates for your facility. No one wants to fill out a lengthy application anymore. Therefore, you must make your application process as streamlined as possible. Get more applicants into your pipeline quicker, and worry about the specific job details later. Even if you perfect the way you recruit, your facility’s brand or reputation can get in the way. Ensure your facility is collecting positive online reviews, and addressing any negative ones that may arise. 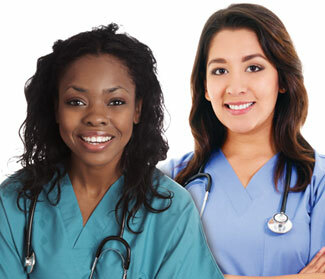 Add content to your website that shows nurses why your facility is the best facility to work for! Honor your employees on social media by showing off employees of the month, bonus programs, and reward programs. 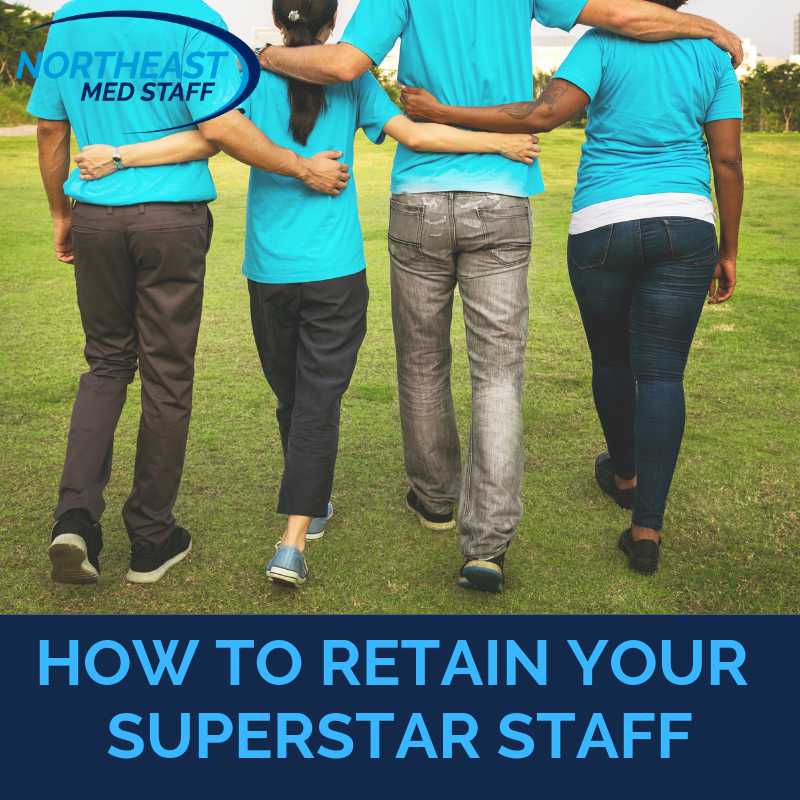 When your facility is understaffed and turnover is high, recruiting can get overwhelming. Reduce recruiting and sourcing costs, and let a staffing company handle your recruiting for you. 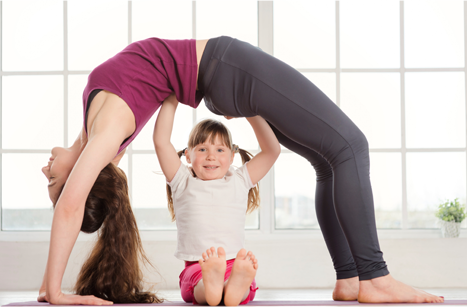 These agencies have experts in the healthcare industry that can source the very best talent.